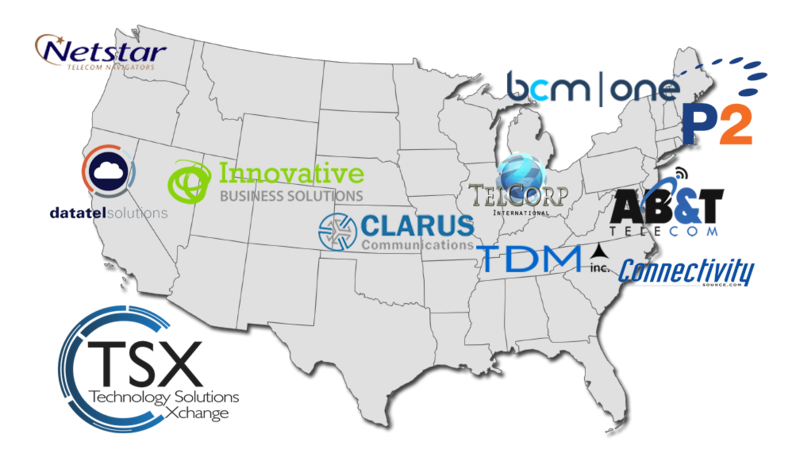 Technology Solutions Xchange (TSX) is a consortium of master agents in the telecommunications and cloud space that offers its master agent members an expanded portfolio of connectivity, cloud, hosting, cybersecurity and IoT vendor solutions. TSX is open to progressive master agents who are committed to evolving their company by exploring new opportunities, creative ways to approach the market, while educating and developing sales partners. The combined portfolio of over 250 supplier contracts ensures that we have a high-quality, broad-reaching set of products, services and capabilities to serve customers from the SMB to the Enterprise space. The members of Technology Solutions Xchange gain access to a global portfolio without having to manage hundreds of contractual relationships. Collaborating on best practices taps into the expertise of the membership, providing new strategies and ways to improve their individual businesses. Access to shared technology, marketing and operational services streamline and improve productivity, allowing master agents to spend more quality time with their agents and customers selling services and driving revenue. Through the Convey Services Connected Network, TSX agents have a single online location to explore supplier information, training, and marketing resources. They gain access to sales campaigns that they can launch to their prospects and customers with no marketing expertise required and the guaranteed protection of their valuable customer lists with the List Lock technology. Agents are supported on the local level allowing for the sale and deployment of complex, national deals. Suppliers that gain a contract with one TSX master agent, become known to the other master agents and their sellers throughout the network. TSX Members promotes selling services through each other’s contracts, enhancing the value of the supplier relationship within the network. Suppliers are offered the opportunity to run sales campaigns to the entire TSX agent network, gaining valuable exposure through the Convey technology. Analytics show agents that are responsive to a supplier’s content, campaign outreaches, and marketing, giving each supplier a defined ROI for their marketing dollars spent through TSX.